I saw something interesting in R. Avraham ben Ha-Rambam's Ha-Maspkik Le-Ovdei Hashem that I think works well with a theory about his father's position on miracles. Some scholars have suggested that the Rambam's view on miracles evolved over time. In his earliest work, the Commentary on the Mishnah, the Rambam asserts that miracles are a part of nature. The Mishnah (Avos 5:5 in the Rambam's edition) lists items that were created during the last moments of the six days of Creation, each of them miraculous (e.g. the "mouth" of the earth that swallowed Korach). Rambam, in his commentary to that Mishnah, explains this to mean that miracles were part of Creation. When setting the laws of nature in motion, unique exceptions to those laws were included; miracles were pre-programmed into the laws of nature. Therefore, technically, they do not violate nature but are part of it. That explains why the Sages found it necessary to say that all the supernatur miracles that have occurred [in the past] and all those that we are propmised will come about [in the future] were already designated to come about in the course of the six days of creation, when the miraculous events were implanted in the nature of the things involved in them. This was, by no means, a non-controversial explanation. Later commentators, such as Meiri and Rashbatz, disputed this interpretation and explained the Mishnah in accordance with the view that miracles are deviations from the laws of nature (see this essay by R. Moshe Taragin link). At this point, the Rambam was a Naturalist when it comes to miracles while the Meiri and Rashbatz were Interventionists, believers that God intervenes in nature (these terms are not my creation). However, there is evidence that later in life, the Rambam softened on this issue and became more of an Interventionist. In Moreh Nevukhim 3:32, the Rambam writes that God actively metes out reward and punishment in order to encourage people to observe the commandments. In Moreh Nevukhim 2:29, Rambam even calls the idea that miracles are pre-programmed into Creation "very strange" (Kafach edition, end of p. 290). He also writes there "that a thing does not change its nature in such a way that the change is permanent merely," in a context implying that miracles are such an impermanent change. In his later Letter on Resurrection (Kafach edition of Iggeros Ha-Rambam, p. 88), the Rambam writes that he considers something a miracle only when it is explicitly identified as such and cannot be reinterpreted. In other words, he agrees that miracles happen but prefers to be cautious in labeling something as such. And in his Medical Aphorisms (vol. 2 p. 216), he states that the idea of an eternal universe is objectionable because it excludes the possibility of miracles. 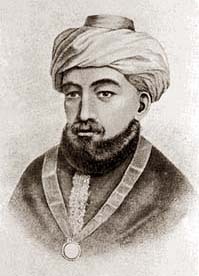 As he matured, however, Maimonides became more receptive to the need for miracles as well as their possibility. Doubts and uncertainties... dampened his enthusiasm for the unlimited explanatory power of natural philosophy. In addition, as he refined his own religious philosophy, he became increasingly aware of the necessity for miracles, that us, for some expressions of the omnipotense of the divine will. The religious person who knows that the world runs according to nature but God can intervene at any time if He chooses (pp. 80-82). R. Avraham ben Ha-Rambam is clearly adopting the Interventionist position and not the Naturalist. Perhaps this sheds light on his father's position at the end of his life. This might serve as additional support for the theory that the Rambam changed to the Interventionist position.